An interesting video was released earlier today by the Ukraine Military TV YouTube channel. The video shows pro-Russian separatists being captured by Ukrainian forces, and documents the man-portable air defence system (MANPADS) allegedly seized with these combatants. 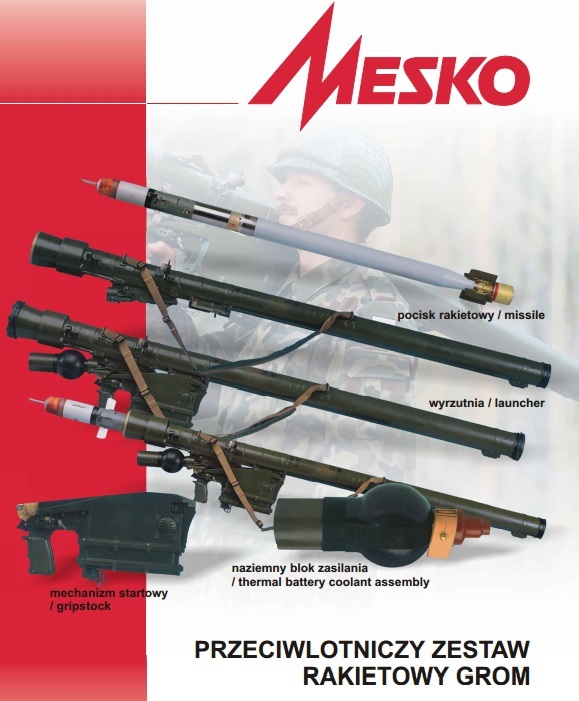 The image above shows a Polish made PPZR (Przenośny Przeciwlotniczy Zestaw Rakietowy; portable anti-aircraft missile system – sometimes written simply “PZR”) Grom MANPADS. The Grom (Polish for “thunder”, and sometimes stylised “GROM”) is a Polish-designed MANPADS drawing its design cues from the Soviet 9K38 Igla (NATO reporting name: SA-18). It is widely believed that Polish agents were able to purchase the original plans for the 9K38 during the dissolution of the Soviet Union. Work on the Grom began in 1992 and was conducted at several state-controlled design bureaus in Poland. Whilst the capabilities of early Grom missiles were largely identical to the 9K38, the system has continued to be improved and later developments, such as the GROM E2 pictured in Ukraine, below, are more capable. The Grom continues to be offered for export by MESKO S.A., part of the BUMAR holding group. 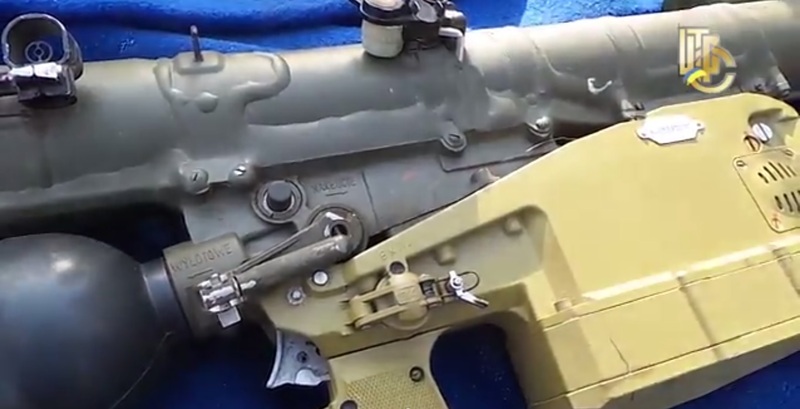 The example seen in the video is fitted with a Russian made 9P516 gripstock (without IFF; IFF version is designated 9P516-1), designed for the 9K38. Whilst ARES has not seen Russian or Polish sources which explicitly state that the 9P516 gripstock is compatible with Grom missiles, it would not be surprising to learn as much, given their shared origins. The battery coolant units (BCUs) in the video may also be of Russian origin. 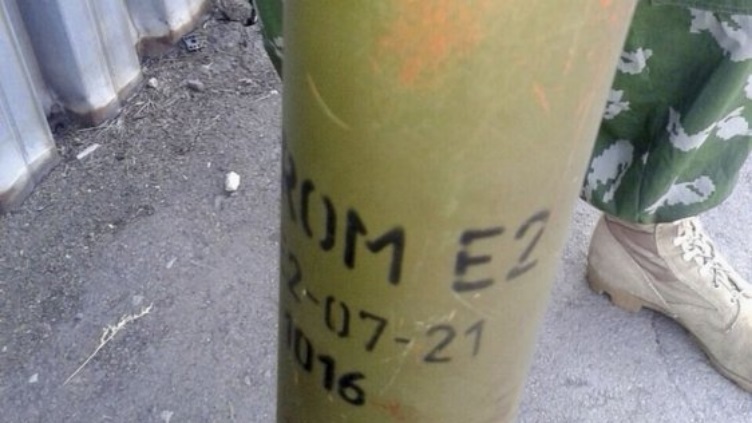 Markings on the missile launch tube indicate it was produced in 2007. Interestingly, one of the few known foreign exports of the Grom was to Georgia, who are believed to have purchased 30 launchers and 100 GROM E2 missiles in 2007. Russian forces are known to have captured some of these, and Poland later accused Russia of planting material from this contract in Chechnya for political reasons. 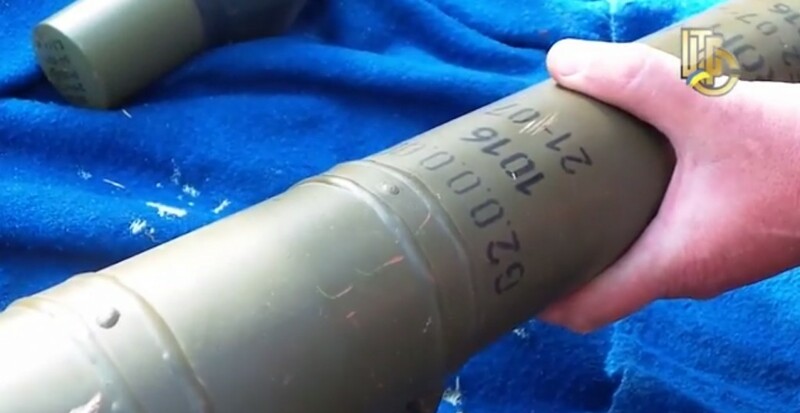 Whilst far from concrete evidence of supply, it is interesting that missiles from the same year as those ordered by Georgia and captured by Russian forces should turn up in the hands of pro-Russian separatists, fitted with Russian produced gripstocks. Of course, it is also possible that such systems were exported to other parties in the region. ARES will be sending an official tracing request to the Polish and Russian governments, as well as the manufacturers of the missile tube and gripstock. Hat tip to Eliot Higgins for the link, and a technical specialist who wishes to remain anonymous. Jane’s has an article here.